Ciara Sotto on being included in both TGIS batches: "I believe I'm the luckiest to have experienced being with both batches." Ciara Sotto feels really lucky to be part of both batches of the youth-oriented program TGIS. She first joined TGIS Batch 1 during its second season. She was cast as Rain Abrera, the love interest of Onemig Bondoc. While the other characters were already graduating high school students, she was in third year. In 1997, the first batch composed of Angelu de Leon and Bobby Andrews formed the spin-off series Growing Up when their characters moved to college. Ciara's, whose character was in fourth year high school, became part of TGIS Batch 2 where she was joined by Dingdong Dantes, Kim Delos Santos, and Antoinette Taus. "Yes, I definitely have that advantage, and I am grateful," said Ciara on being part of both batches. However, the former teen actress admitted that she was sad when she was left behind in the show. She told PEP.ph (Philippine Entertainment Portal) in an exclusive interview, "When I was with the first batch, I was the baby, because Rica Peralejo had left the show na. "I was just following everything and kept learning from them. "When I was left to stay in the Saturday show, I was so depressed at first because I miss my friends so much..."
Fortunately, she was able to form a bond with her new co-stars. "But I got along with the new kids and I had to step up and be the big sister, so I had to set a good example for the younger ones. "Looking back, I believe I’m the luckiest to have experienced being with both batches." PEP.ph spoke to Ciara via Instagram direct message on August 31. On Instagram, Ciara posted her photos with the first batch and second batch of TGIS. She wrote, "So after 21 years... I’m at peace. Hahaha! "But after about 2 taping days, I became friends with the new generation kids! Last night ko lang nalaman bakit kailangan ako iwanan muna. Hehe! "After more than a year, I got reunited with them (sinama na’ko sa Growing Up) and our bond became much stronger! "I love you guys so much, both batch 1 & 2! 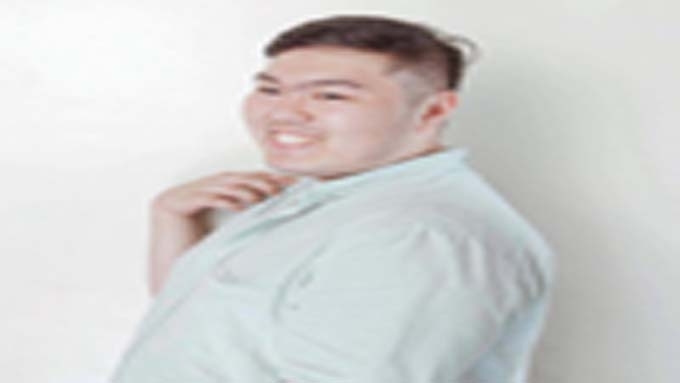 I was the baby of batch 1 and I had to be the “ate” of batch 2! Hahahahaha! I am grateful! Thanks @vanillaskykit and @direkmark for finally explaining! Hehe!" So after 21 years... I’m at peace. Hahaha! I still remember how bad I felt when batch 1 left me for “Growing Up”.... I couldn’t stop crying. I wasn’t my usual self who was always laughing.... but after about 2 taping days, I became friends with the new generation kids! Last night ko lang nalaman bakit kailangan ako iwanan muna. Hehe! After more than a year, I got reunited with them (sinama na’ko sa Growing Up) and our bond became much stronger! I love you guys so much, both batch 1 & 2! I was the baby of batch 1 and I had to be the “ate” of batch 2! Hahahahaha! I am grateful! Thanks @vanillaskykit and @direkmark for finally explaining! Hehe! When PEP.ph asked Ciara why she was the one left behind in the show, she answered, "According to Direk Mark and Ate Kit Villanueva, they needed at least 1 original to stay so that the regular Saturday viewers will see a familiar face pa rin. "And it had to be my character because in the story, I’m younger than them.. after almost 2 years, they transferred me to Growing Up. Hehe!" Yesterday, August 30, Ciara reunited with some cast members of TGIS, including those from Batch 1 and Batch 2. 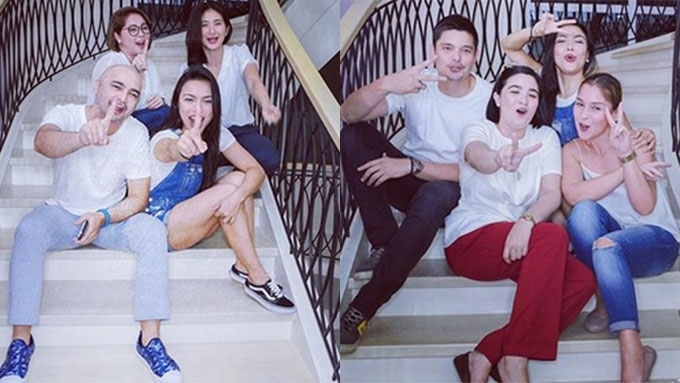 Angelu de Leon, Rica Peralejo, Michael Flores from Batch 1 and Dingdong Dantes, Sunshine Dizon, and former actress-commercial model Chantal Umali attended the reunion hosted by Ciara at her house in Quezon City. Writer Kit Langit, associate producer Neal del Rosario, and directors Mark Reyes and Dominic Zapata were also present. "I was talking to Angelu on her birthday and we both decided to hold a reunion and so I offered my place for the venue," Ciara said about the reunion. What was their reaction upon seeing each other again after a long time, especially Chantal, who is not active anymore in showbiz? "We were all so happy to see each other! "I only get to talk to Chantal through Instagram because I am a fan of her yoga pictures. I was so touched that she came all the way to QC from Parañaque. "Sayang lang, we weren’t complete because some reside in the States na and Onemig [Bondoc] and Bobby [Andrews] were both busy." Almost everyone at the party posted photos and videos on their social media accounts. Just like TGIS fans, Rica and Michael expressed their hopes of having a reunion project. PEP.ph then asked Ciara if a movie or television project is in the works. "A reunion project sounds so good. We all want to have one. She then hinted, "I believe Direk Mark is cooking up something, so let’s wait for that." In a September 2017 interview with PEP.ph, Direk Mark said that he has already plans of doing a reunion project for TGIS. However, he clarified back then: "Pero hindi siya TGIS, ha! It's the TGIS people for the project but it's not TGIS. It's our own initiative. "It's... I don't know if it's gonna be a one-shot deal or a series for streaming." As of this writing, there are no updates yet regarding the project.